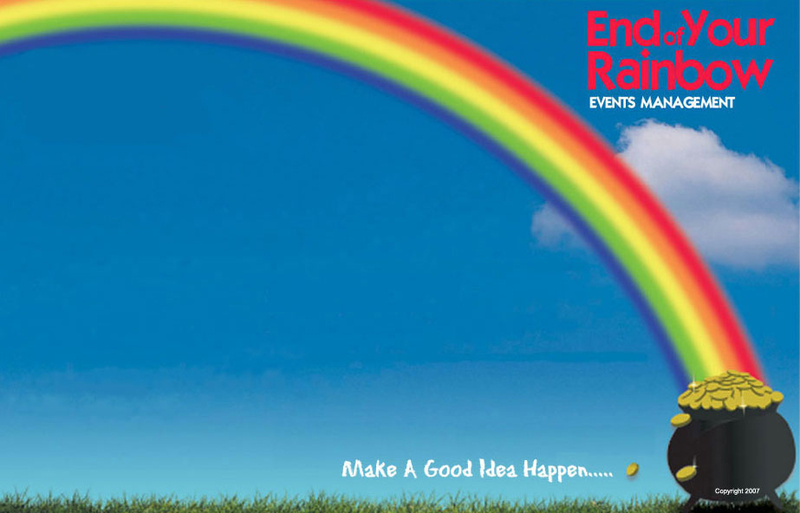 End of Your Rainbow Events Management has the experience and creativity across a broad range of activities and events that can provide you with the event to remember We will take account of your objectives and expectations and we will work within strictly agreed budgets. Our approach is to remove the “burden” of arranging an event, whilst allowing the client to retain control and direction. Throughout the time leading up to the event we offer our clients the ability to provide as much or as little input as they feel comfortable with.